In early 20th-century Britain, interest in psychoanalysis was high, leading to the formation of the famous Tavistock Clinic in 1920. E. Graham Howe was one of the clinic’s founders and the first to publish articles on psychotherapy. At the same time, he was attacked by the “scientific” psychiatry and psychoanalysis communities because he took concepts derived from spiritual practice and existential phenomenology and applied them to an understanding of psychotherapy. Howe’s writings included more than a dozen books and countless articles on a broad range of subjects from schizophrenia to Asian spiritual practices. Through these works he exerted a profound influence on intellectuals such as R. D. Laing, Alan Watts, and Henry Miller, to name a few. Howe also wrote in a simple and clear style, making his work accessible to the general public. 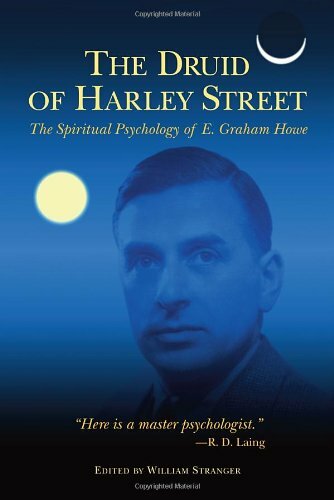 The Druid of Harley Street samples the best of his essays, offering timely insights for followers of Jung, Roberto Assagioli, and Mark Epstein; students of somatic therapies; and spiritual and meditation practitioners. The book also offers a fascinating glimpse of a great mind, the notable people in his life, and the heady times in which he lived.